Want to know what the Geelong property market is like? Here’s a snapshot of what’s happening in the waterside city. Based on figures reported by the Real Estate Institute of Victoria (REIV), the median house price in the City of Greater Geelong in the September 2017 quarter was $492,000, which was an increase of 3.6% compared to the previous quarter. 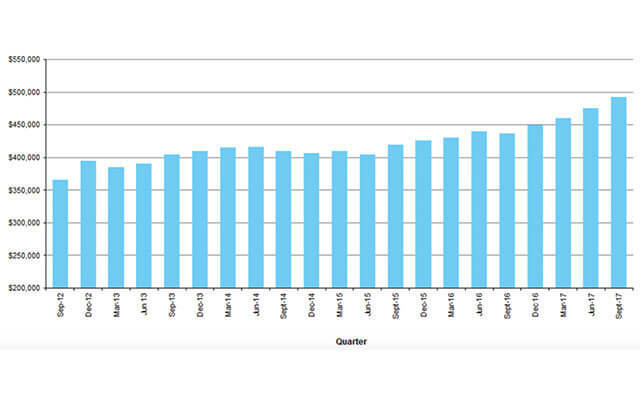 Regional median prices are based on the twelve months ending the quarter. All median prices are seasonally adjusted.​ REIV revises medians every quarter. This impressive growth has not been isolated to the last quarter, with the waterside city having experienced sustained growth over the last year, reporting a 12.5% increase compared to the same quarter in the previous year (September 2016). Geelong is also outperforming its regional counterparts, with a Domain group report highlighting it as the only hub in regional Victoria which experienced double-digit growth in the year to September 2017. In fact, the City of Greater Geelong has been following an upward trend for many years now, having experienced consistently sustained growth in median house prices since 2012 (see Figure 1). There are a range of factors contributing to the growth in median house prices in Geelong, with the high prices seen in close-by Melbourne playing a key role. 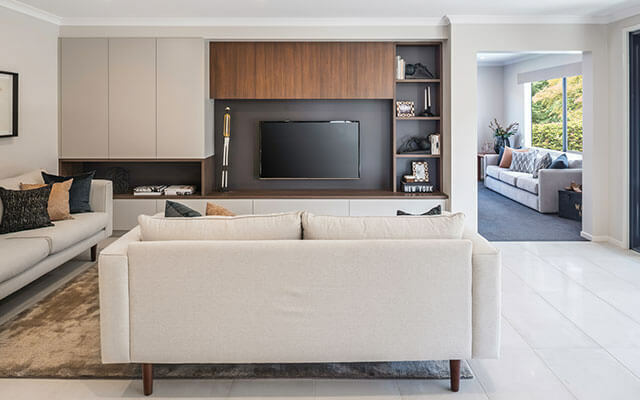 In an article published on Realestate.com.au, the arrival of several large Government organisations including the National Disability Insurance Agency (NIDA), WorkSafe and the TAC were also identified as key factors contributing to the increasing population in Geelong which is driving a booming property market. Ultimately, because of its good connections to Melbourne by both road and rail and its extensive range of local businesses, amenities and infrastructure, Geelong residents have the choice between making the commute to the city for work or seeking work locally, which makes it a good alternative to purchasing property in the outer suburbs of Melbourne. Then of course there are the lifestyle benefits on offer which are no doubt attracting buyers to the area. Offering all the conveniences of a cosmopolitan city including a wealth of local attractions, a large selection of close-by parks, beaches and wineries, as well as its location on the doorstep to the Great Ocean Road and Victorian Surf Coast, the lifestyle in Geelong is no doubt playing a key role enticing new buyers to the region. If you act quickly, you can still claim your steak in the Geelong property market with a Dennis Family Homes house and land package. 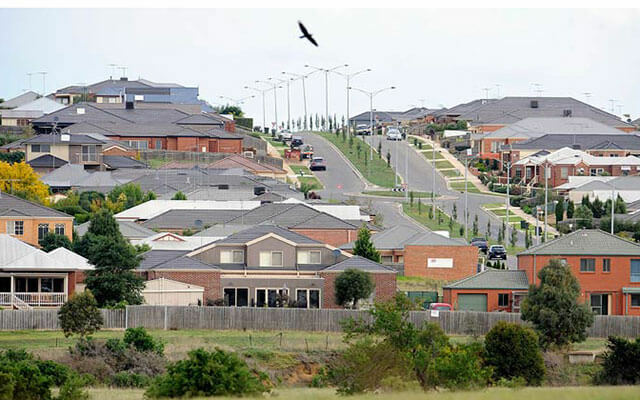 We have house and land packages in suburbs including Colac, Lara, Armstrong Creek and Ocean Grove. you could own a brand-new home complete with everything your family could want. 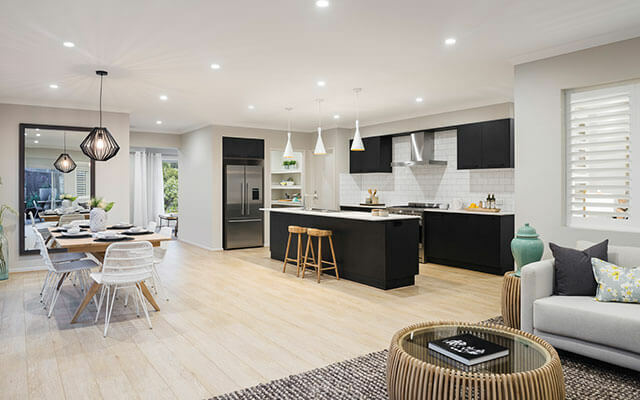 If you’re a first home buyer, you could also benefit from the Victorian State Governments $20,000 First Home Owner Grant (FHOG) for new homes built in Regional Victoria up to the value of $750,000. 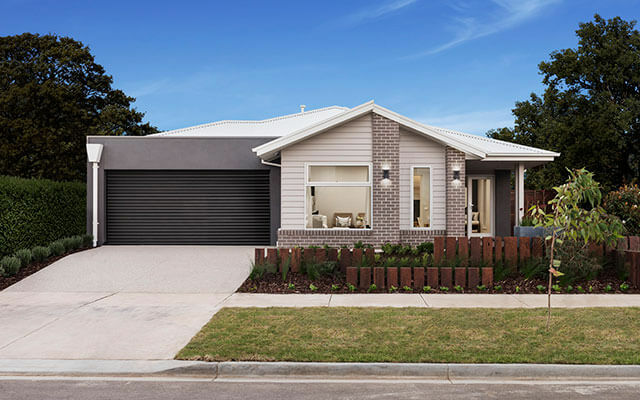 Take a look at our range of new home designs, view our house and land packages or visit one of our display centres at Lara, Armstrong Creek or Ocean Grove to find out how you can make the move to Geelong.